Who is this lipstick for? Chambor Hypnotic Plum Lipstick is a wonderful plum lipstick is for all the girls who love to use interesting, dark and different colors for their lips. 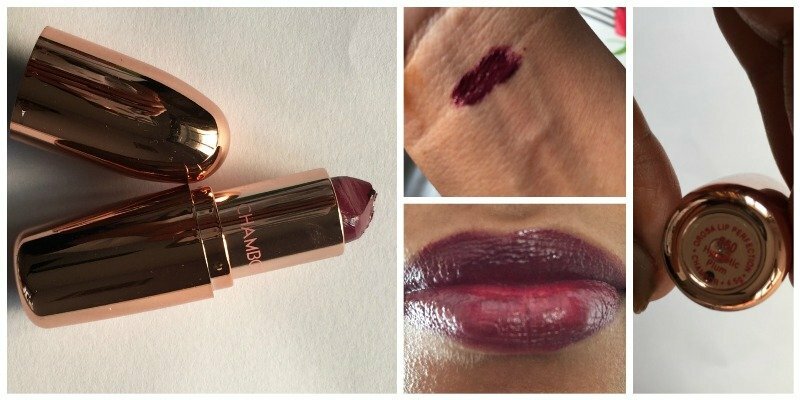 It is in particular for all the girls who are looking for a lovely berry color lipstick. The plum lipstick comes in a double layer packaging. The outer box is made of paper and inside it is a rose gold bullet shaped container with the lipstick. The overall packaging of the product is appealing, compact and neat. This lipstick has a shade which is a bold, different and appealing. The lipstick is a mix of plum shade and with a hint of blue in it. Overall, it is a very refreshing shade. The texture of the lipstick is creamy and glides on the lips with the utmost ease. It is a decently pigmented lipstick. A single store is good enough for application but if you want a dark look you can apply two strokes. It stays for three to four hours without the intake of food and water. However, if you consume something it gradually begins to fade away. The lipstick has a creamy texture so you don’t need to worry about moisturizing your lips before applying it. You can apply the lipstick without any prerequisites. The lipstick has no fragrance as such. This is one of the lipsticks about which I had a lot of apprehensions till I purchased it. However, after buying it and applying it, it has been my favorite. It is a color which is refreshing, young and bold. It goes well with the Indian skin tones and looks great on all skin types. It has a creamy texture which helps in hiding your dry lips also. I had a great experience with it and it was a great way to give a fresh, new and different look to my lips. I would definitely recommend this to all the girls looking for a different and attractive lipstick. Chambor Eye Tattoo Liner ET 02 – Blue Blue!